I hope everyone is enjoying the holiday season! 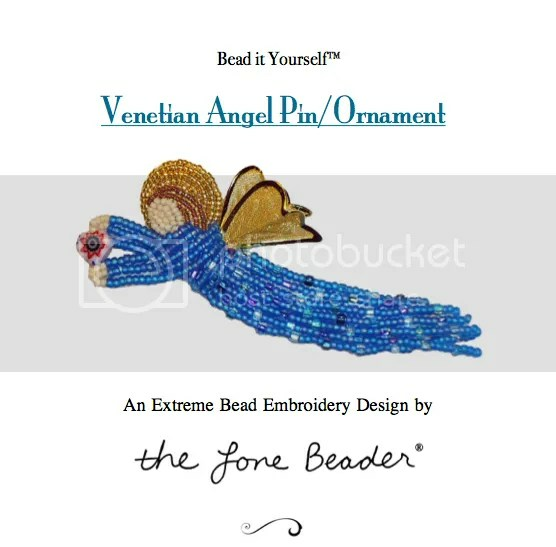 I have been very busy making items for my Etsy shop during the last couple of weeks, but I also found time to write up a quick beading pattern for my Venetian Angel Pin. This piece is quite different from my beaded dogs and city scenes. It was inspired by my trip to Venice, Italy. I saw so many beautiful angels there, and I thought each one should carry a millefiori glass bead! « My First Show @ Sheraton Boston Hotel!